Whether you are two or eighty-two, whether you are a professional entertainer or a child out for his/her first Halloween or a 26-year old dancing at a Rave, if there is music around, and you get the fever to move… Everything is better with lights. Everyone loves some kind of music, and when you move, your hands move with you. 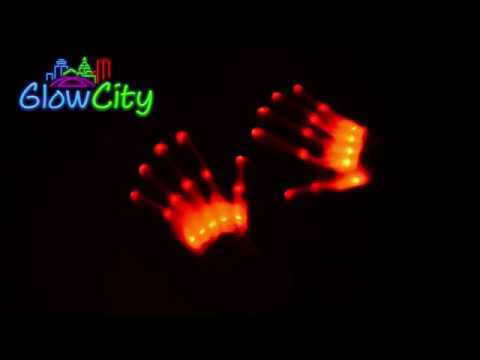 LED Lights gloves are the most creative way to express yourself. Everyone who has tried a pair of these novelty hand accessories on has found the trendiest way in expressing their own styles of creativity and loved it! It didn’t matter if they were rocking out the cradle, the dance floor, the streets, or the rocking chair. An LED glove exists for even you. These are a professional type grade, dance club, light up, dance club hand accessories. The EmazingLights Elite is made from 100% acrylic and is the first dance club hand accessory that comes with a programmable app with Bluetooth capabilities for Android and iOS allowing you to download spectacular one of a kind light shows for you to dance and move to. You can literally create your own themes and color palettes for a unique show all of your own. Customizing your own 48-pr-programmed patterns to flash the way you design. Several editing options are included like gap length and strobe length and a motion flux reaction accelerometer that has the lights reacting to your motions. App updates available and with all the combinations available, 16 million combinations are available. Comes with a lifetime warranty and is compatible with both 1616 and 1620 replaceable batteries. It didn’t work for some customers straight out of the box; the syncing piece wouldn’t connect to all the lights. ; problems in just one box containing individual components that are failing in less than a month entire box that came with problems. Fortunately, there is a lifetime warranty. It sounds like some came off the production line with some faulty wires. If you are a professional raver, hip-hop dancer or like to stand out in the club. 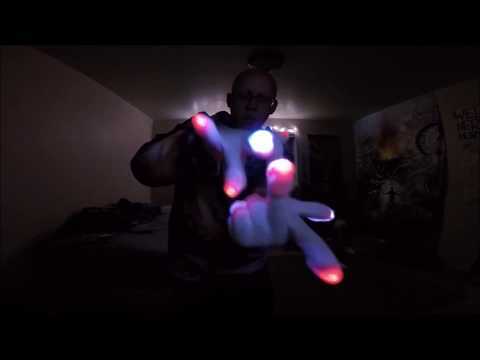 The light-up hand accessories that have the potential to shoot colors from your fingertips in literally millions of colors, patterns, and designs by your own means or ones that have been pre-programmed or ones you have downloaded through the products Bluetooth app device from friends and other users through the app/Facebook; you will always stand out with the EmazingLights. These accessories are professional grade and come with millions of color combinations and sync up to any iOS or Android and your own body’s movements. The GloFX are professional, dancing, rave, club, hand accessories that are soft and come with a no-slip gel casing that ensure the lights stay where they are supposed to stay. This LED gloves comes with a custom microchip and onboard memory that is so advanced that this Lux Chip allows you to create over a million color combinations and pattern variations with the 9 different varying modes of patterns. When you find a color scheme and pattern you love, this product also comes with a save button. These bright LEDs will wow your audiences and your patterns are safe even if you have to do a quick battery change without X-clip quick change battery change and stay in place. 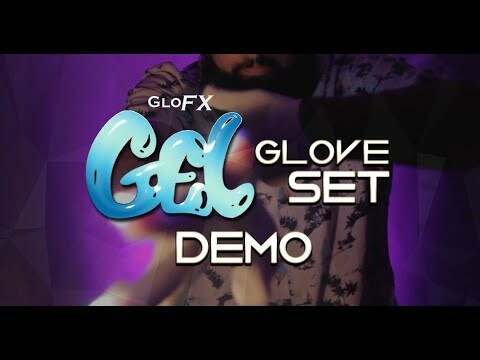 GloFX gel LED gloves also comes with a Pro-Click button for you to press while in motion for quick mode and color changes. When you buy professional grade products, one might expect replacement parts to be expensive. Customers were upset by this factor. They complained about the cost to replace a single bulb being expensive, especially when one quit working after 45 minutes. However, this minor complaint is nothing compared to the others who love the product and compliment it profusely through their feedbacks. Even those these gloves are not Bluetooth compatible, they are considerably less than the ones that are, However, both offer the consumer a professional grade light show that will blow audiences minds especially the GloFX that is guaranteed to stay in place and you will never miss a beat during you million different pattern and color creativity that will behind the awesomeness that is your vivid LED light display. The onboard memory chip will store all of your pattern creations for you to perform for people to help make you famous in your craft. Plus the X-clip and Pro-click assembly products on the hand accessory are solely designed for quick and easy changes without any interference. Get ready to impress when you have one of the best. Batteries last for over 9 hours. I feel it is important to interject here and say the rest of the LED gloves we are reviewing are less expensive, more designed and geared for children and teens amusement, or even as an extra garment to wear to be seen in the dark. They are not super high-end, high-quality computerized products but more novelty ideas. Have fun this Halloween when your hands magically turn into glowing skeleton bones. Freak friends, family and neighbors out as the backs of your hands will glow so brightly that each knuckle will stand out, making the appearance seem realistic. These well-made gloves currently are stretching enough to be one size fits most type of product, and you turn the very bones on with a button located near the wrist. 5 Bright colors are offered as options and you can alter from a steady light to a blinking light option if so chosen. Apparently, a bad batch came off the production line because there were only a few complaints, but they all griped about the same problem. When the product arrived, either the batteries didn’t work, one glove didn’t work, or the product did not change colors as properly advertised. Came, batteries didn’t work. Only one glove worked. Didn’t change color as advertised. On the other side of the spectrum, when they worked as advertised, people were thrilled with the inexpensive fun to be had by its product. Many of the previous ones were later turned into 5s because of excellent customer service fixing the problems of the bad batch. These skeletal hands will give you that extra spooky good time this Halloween season, so order yours today. A bad batch came out, but customer service handled it. If skeletons, don’t thrill you, then perhaps sequins will. This comfortable, excellent quality glove is made from a plastic cloth that will not overheat as you play for hours with your LED glow hand accessories. Multiple settings allow for you change the color and flash settings that bounce off the sequins into the room for an original light display, unlike other LED gloves. One size fits most make this product super fun for everyone at almost every kind of celebratory event. The batteries are easy to change on the internal compartment of the glove. Affordable enough for everyone in the family. One customer wanted to make sure other consumers understood that only the fingers and tips gave off the actual lighting. The box may seem to give consumers the impression that the whole hand radiates light. What you are seeing in the picture on the box is enough light coming out of the fingertips bouncing off the sequins and lighting the whole hand. Some users found an ideal way of using this product when riding his bike. They use this LED gloves when signaling in traffic; they worked so well, he was able to maneuver brightly among the cars. Decorate your hands with these amazing hip and ultra-cool LED glow hand covers that sparkle their glowing brilliance as you dance. The product is made of a top-quality plastic that won’t heat up or stick to your hands even after extended use. Multiple setting allows for multiple colors and flashes allowances for you to supply your event venue with lit up radiating LED beads of energy, excitement, and fun for everyone. One size fits most. The product is a perfect addition for any kind of party or nightclub gathering including birthday celebrations, rave parties, Halloween parties, concerts, dances & fiestas, Christmas and holiday celebrations, and all nightclub functions. The Amazer LED product lights up the hand’s fingers in 7 solid colors (the primary difference in #5 & 6); it amazes audiences with the 6 FLASHING modes including 3 COLOR STROBE and 3 COLOR MORPHING, and then it also has 3 different solid color TRAILING. A simple press of the on/off button located on the wrist easily changes the light modes. The comfortable soft medium weight cotton material is a bonus; as one size fits most, consumers can use them for safety and fashion purposes as well as being the hit of the party. The company has thrown in an extra pair of batteries, so you don’t have to stop the hours of creative fun you can display for your audiences at any venue set for a spectacular LED light show. At one point it seemed that a slew of customers complained the LED gloves didn’t work upon arrival. The company has since added the additional information about their insulator tab that covers and protects all their batteries so they will not drain power prior to use. One must remove the insulator tab from the battery before the product will work. Several review re-writes. Others in a small bad batch received new products and were happy. Customers of all ages love this product and love to wear it as an extra piece of clothing for fashionable warmth and also as extra protection as when walking or out in the dark. These soft cotton hand protectors are fashionable as they are exciting and fun. Created to fit most, they have a cool inner lining but will keep hands warm on brisk days. The lights are bright and visible as an awesome entertainment system through any party venue as well as for everyday use. The biggest difference between this product and ones that look identical is that these colors are solid while others are divided into separate colors at the digits. So inexpensive you can afford some for the pets too!! Get everyone involved. number 5 and 6 look almost identical and read identical with only a little difference and number 5 offering an extra set of batteries; there are, however, subtle differences in the two. To look at # 5 and 6 and read the primary functions, you would think someone in Thailand had sold the same light gloves to two different companies. However, six has its subtle difference to 5 also. The Tritechnox LED light gloves has Multicolored digits instead of solid colored digits. The Tritechnox product offers similar six modes. It also offers the strobing of three colors, the morphing of three colors, and three-color trailing, in the colors of Red, Green, and Blue. One other difference in this model is that it includes LIGHT-Up Modes of Slowly Flash, Quickly FLASH, and Continuous on and off, etc. The material is also notably different as these are made from knitting yarn and have a polyester stretchable wrist. Additionally, there is a control on the wrist that allows you to accomplish the cool bright effect. Also, unlike number 5, this one seemed to have more difficulties. Customers complained of size and unprotected wires. One customer actually bought and preferred number 5. Didn’t last very long was the biggest complaint. They are a huge hit while they last. Everyone raves that they are so much fun, their kids go crazy with excitement, so since they are unbelievably inexpensive, why not take the risk and try it for the kid in all of your family. Big Raves about lots of family fun. For the difference’s sake alone, I might choose a pair of each #5 and #6; they certainly are affordable enough, and the differences are vast enough to want to try both pairs. This pair has segmented color sections on the digits of the fingers instead of long solid colors, it offers different light up modes, and it offers a cool bright effect. These accessories make it worth the curiosity even if they don’t outlast the wear of #5. The amazing brilliant shine of the LED lights is still sure to make any gathering a party of epic proportions in no time at all. Similar to the skeletal hands for everyone we found in gloves number 3, this product was made especially for youths 8 and up and by one of the founders and leaders in the LED wear industry. Neon Nightlife is the team that has run through the research and years of product development to give consumers the brightest LED glowing product clothing wear in the industry. The skeletal pattern offers four settings: completely on, the pattern blinking, a regular blinking and off (which I personally don’t think should count as a setting). The battery is comfortably concealed inside, and a 90-day warranty is offered. Some consumers complained the LED gloves arrived broken on arrival, others received two left hands. This is a simple manufacturing or shipping problem that could be easily solved by better manufacturing and shipping attention to detail before sending the product out to the customer. Customers who received working product were thrilled. Worked as described for the right sized people as well. This original lighting company product is the perfect youth party accessory and just the right price to thrill all the kids encouraging a skeletal block party. Since they are similar enough to product number 3, the whole family can have matching comfortable sets and party all night long together. If any dissatisfaction within the first 90 days, the company does offer a warranty during that time period. Very much like other versions of raver-style, party, dance club, LED light hand accessories, the Fox NoVo’s are equipped with the 7 color/6 mode flashing style of many other products on the market. The battery is even hidden in a similar way with the hidden on/off switch in the same spot. The largest difference you will find in the Fox Novo is that instead of all of the digits being lit on the consumer, only the tip light up. The buyer’s fingertips will radiate out in their very own laser light show bursting forth from the jet-black acrylic hand! The batteries are expensive and die quickly; however, the product must work well if they are killing the batteries. One customer happily wrote about her son wearing them to school. The price alone and different option is reason enough to try out this new choice in products. These are another perfect option in the LED light gloves line of gifts and very reasonably priced. Because of the laser-like quality, they are a great addition in videos. The soft black fabric hides your flesh perfectly as your fingertips become laser-lights of seven different colors and 6 different flashing modes to entertain everyone around you. You have become a one-person laser-light show for an unbelievably low price! The WDCS products are almost identical to the Amazer’s #5 in look, design, and function. Yet, once again, there are small differences. The largest one you will notice first is the 1/3 cost decrease of the WDCS, and someone adjusted the wiring so the colors strobe red, blue-green on the Amazer, while on the WDCS they strobe and pause in the order red, green, blue. WDCS might have purchased all the extra small One Size fits Most from the Manufacturer because that seems to be the largest universal statement; the product runs small. Other than those differences, the two fun-filled items pack the exact same fun-filled, exciting power-filled, LED, light-show punch. WDCS is clear to acknowledge that any complaints about the product should be handled directly by their company “Wantedcases, Inc,” and that “other sellers’ product” was not being manufactured by their company, so they are aware that exact product lines are being sold on the market. Even though the LED gloves is so crazy inexpensive, order 3 to make the shipping worth it, the batteries do not last long enough for some consumers. Both of them use the CR-2016. This product comes with 2, but if we remember correctly, the Amazer was throwing in an extra battery pack; that could explain the price increase, and make them worth it, depending on the cost of the battery and the true shelf life of that style battery. The rave reviews even from some that say the product has lasted months, through holiday seasons, and company picnics, weddings, and as party favors, they were so reasonably priced. These were affordable enough to create and bring the party instead of hiring the entertainment. At least the company is aware that they are in competition with other LED hand performance companies so that if something they sell goes awry, they can fix it and take responsibility and no be blamed for someone else’s product. It is wonderful to have all of the functions available for such a reasonable price; ones including 6 different modes altogether- 3 color strobing, 3 color morphing, and also it has 3 color trailing capability of the red, green and blue strobe. 1) Do not wash product. 2) Take batteries out of the gloves when not in use to prevent battery drainage. Number 2 seems highly important for people who do not like the cost of the batteries. If keeping the battery plugged into the glove is draining the battery, then it makes sense to unplug the battery to save on its power supply. With so many similar LED light gloves available, we also wanted to mention one we found of interest that had yet to be reviewed. We decided to mention this one in hope of getting some review because it looks like it might offer some of our selections a good run and for around the same price (a couple dollars more) but still in the inexpensive range. However, this one looks like it offers a little different variety in the fun and flashing, colors and shining modes, so I was curious to take a peak. 5 colors strobes are available in red, blue, green, white and yellow. The lights in combinations make up the 6 different strobing effects and 6 different shining effects. The other incredibly noticeable difference is the lighting of the entire palm as opposed to just the fingers. I would be interested from reviewers and consumers if this makes the creativity any more fun. This lights gloves is made of a quality grade child-safe, one size fits most fabric that is made from Polyester, so they claim to be stretchable; thus, ideal for the whole family at the holidays and especially Halloween. They also have a hidden slot for their battery box, which is completely different from the others, this is a clearer and easier design. Moreover, the use of Velcro at the closing makes for easy changing when necessary. Since the addition of technology as a regular part of our everyday routine, marketing companies representing technology products, try to find new and exciting ways to have those bells and whistles further encompassed in our life’s bright reminders of how much we love and rely on products with technology built in. LED lights gloves on hand accessories have become the latest trend in the dance clubs, which has led the craze back into our homes and streets where everybody wants to be part of the fun. People want to be able to express their own creativity with their own pair. Before jumping into the liberating, laser show, learn a little about the novelty item prior to purchasing, so you make the right purchase choice in LED Light garment wear. Professional: As with everything electronical or technological, if it can be built, it can be built to the extreme. This knowledge did not stop with the LED gloves. Knowing someone would find a market for it, the engineers went ahead and created these illuminated creations with every Computer-programmable (yes), color combination, and functions imaginable. They are also programmable, and some even come with Bluetooth capabilities. As the experts called it, these gloves are expensive and are generally reserved for professional dancers, choreographers, DJs, etc. Novelty Grade: The consumer can find several different companies all sharing similar LED gloves qualities and options. The novelty grade LED hand accessory have surprisingly good light quality and run fairly inexpensively, the further choice depends on consumer’s further decisions about function, and life of the battery. The LED Light gloves & hand accessories make one of the best gifts of the season. They are terrific from Halloween straight on through Christmas, but what do you want your hand to do specifically? The answer to that question is the primary difference in all the products on the market. Do you want your hand to be a skeleton? Do you want your whole hand to light up? Or your whole fingers? Or just your fingertips? How many colors and functions do you want? and which ones do you want? When you have answered those questions, you will know which product to purchase. c) protect the life of the battery by removing the battery after each use for longer shelf life. This holiday season should be a LED bright one. 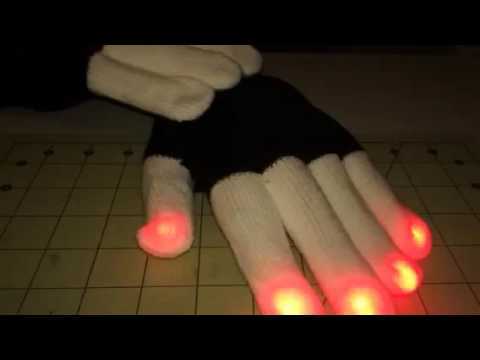 LED gloves are made to find the creative side in every person. When the music starts, wave your hands around and let the colors explode the air. You control the color entertainment for you and the house, nightclub or neighborhood. These are great gifts too, so from Halloween through the holidays, boys and girls of all ages can be having fun and be lit up, protected and safe day and night.